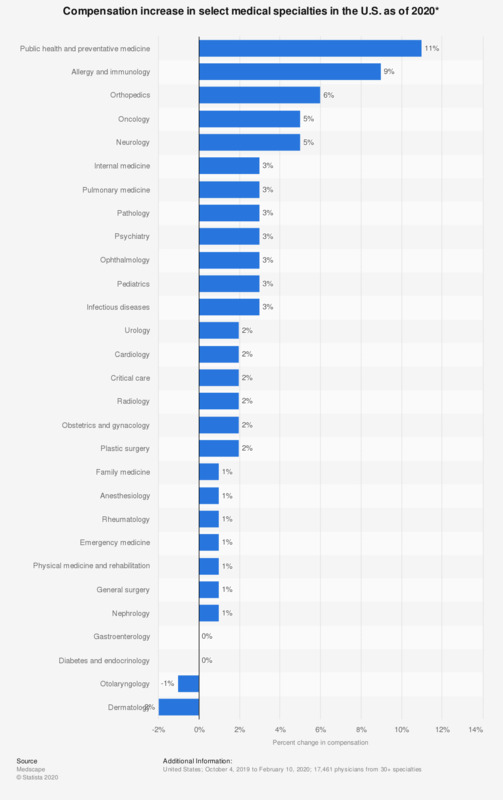 This statistic depicts the percentage increase in compensation within a year as of 2018 in select medical specialties in the United States. Cardiology saw a three percent increase in salary between this year's and last year's compensation survey. * Comparing the results from the 2018 and 2017 Medscape Physician Compensation Report.